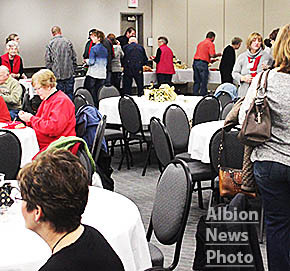 Boone County’s BIG GIVE was termed a resounding success again this year, with a total of $143,055 raised by Monday afternoon, Dec. 7, for the 16 participating organizations. There were 807 individual donors this year, which far exceeded last year’s total of 630. See the preliminary gift totals for each organization in the Albion News and Petersburg Press Print and E-Editions.